$37,000 awarded in 2018 scholarships! Congratulations to the 2018 KEA Scholarship Award Recipients! Fifteen scholarships totaling $37,000 were awarded this year to graduating high school seniors and full-time continuing education students. 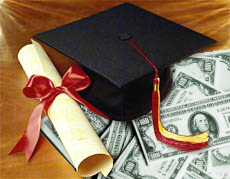 KEA scholarships are funded through the KEA Educational Foundation. The money comes from donated capital credits and KEA’s Operation Round Up® Program. Donations are tax deductible. Support of education and training is one of the seven principles that guide cooperatives in reflecting the best interest of their members. Our scholarship program was designed to offer financial assistance to selected graduating seniors and continuing education students who show leadership potential and the capacity to make a significant contribution to the Kodiak or Port Lions community upon completion of their formal education. This entry was posted in Board of Directors, Scholarships, Uncategorized. Bookmark the permalink.